Surrey is a very beautiful region in the United Kingdom where you could spend a lovely holiday. If you are also planning your wedding, then here you have lots of chances to find the wedding dress of your dreams because there are plenty of shops that offer a wide range of models, from the simplest ones to the most complex and glamorous gowns. In order to know exactly where to go, check out the following bridal and wedding dresses in Surrey. At BRIDE by ASTER you will find a large range of gowns that are quite unique from one another, providing a greater variety and allowing you to be individual. The relaxed, fun, and formal setting will certainly make you feel excellent so that you can easily focus on the dress. Since finding the wedding dress is one of the most important decisions every woman has to make, the team from BRIDE by ASTER focuses on giving to each client the knowledge, the atmosphere, as well as the dresses to do so. The boutique offers a selection of classic wedding dresses and quirky models as well. You can find it in Dorking, Surrey, very close to Sutton, Reigate, South London, and Epsom. This is not everything, because you can also shop here for flower girl dresses, as there are plenty to choose from. 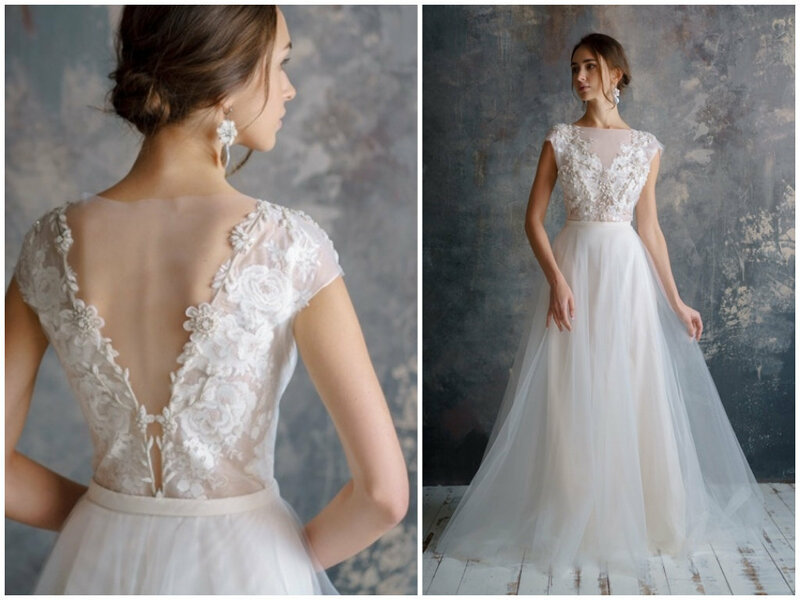 At Aurora Bride, the professional team will help you find the wedding dress of your dreams. There are over 25 spectacular dresses that are waiting to be worn. No matter what personality you have and what your tastes are, you will certainly find here what you are looking for. The various models are especially designed to meet the needs of every woman, no matter the age and body type. In plus, the environment is a friendly and comfortable one, and you will surely feel amazing while trying on the desired dresses. Trust the staff and their advice, as they know exactly what to recommend you. Weddings are very diverse and so are the brides’ tastes when it comes to the wedding gown. Therefore, if you haven’t found the perfect dress yet, then you should definitely visit this boutique. Here, you have lots of chances to find the most memorable and special gown that you ever buy. Surrey Brides ensures you that this experience will be a treasurable and unforgettable one. You should not hesitate and visit this shop as soon as possible. This lovely boutique offers the perfect setting for an amazing experience in finding that special wedding dress. Thanks to the lovely and professional staff, and the exposed beams and original fireplaces, you will feel ultra relaxed and comfortable so that you can easily choose your favorite gown. There is a selection of 100 dresses available, all of them designed in-house as well as completely unique. It is extremely important that your dress fits you perfectly on your big day, and that’s why at Farnham Boutique you will be able to customize the dress to your preferences. Is the UK a Good Place to Find the Wedding Dress of Your Dreams?